Cowboy boots, or western boots have been have been a fashion staple for decades. Today, everyone from the Hollywood star to the regular style conscious is sporting this versatile, iconic footwear. We have become used to seeing them, but where did it all start? It all started in 1880s America with the cowboys, men who made their living herding cattle on ranches in the ‘Wild West’. In the early days, these boots were made exclusively of cowhide leather. The boots were designed to protect the foot and legs while riding on horseback and while working in rough conditions. A typical pair of cowboy boots worn by herders featured a high top or shaft to protect the lower legs and pointed toes to help guide the boot into the stirrup of the saddle. The high heel of the boots kept the feet in the stirrups while riding and were also designed for the fitting of detachable spurs. 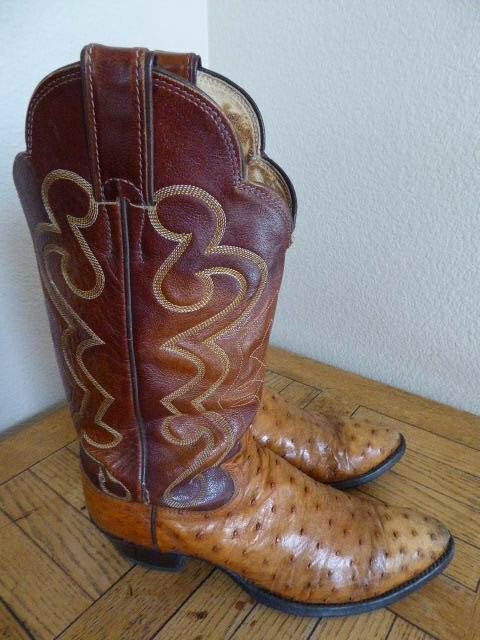 The design of the first cowboy boots were influenced by the vaquero tradition of Spain that dates back to the 1500s. The vaquero is a livestock herder who works on horseback. The vaquero tradition also took hold in Mexico. According to history, cattle herders from Mexico travelled to the US in the late 1600s, bringing with them the vaquero traditions which includes the clothing and boots worn. It was the traditional footwear worn by these men that became the foundation for the American cowboy boot. The earliest cowboy boots in America were all individually handmade by boot makers who sold the footwear in settlements and towns in western states. You don’t have to live on a ranch to embrace the cowboy boot. These versatile boots are always a firm favourite with the fashionisters. Paired them with your favourite denim jeans, maxi skirt or leather jacket for your stylish, individual look. 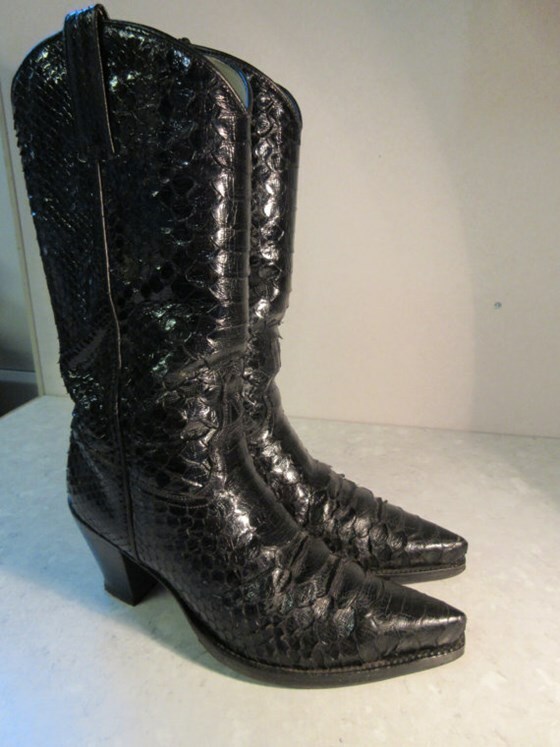 Originally these boots where simply made from leather, but now you can buy vintage cowboy boots trimmed in snake, lizard, ostrich or croc skin and with such an array of cuts and styles you are sure to find the perfect pair.